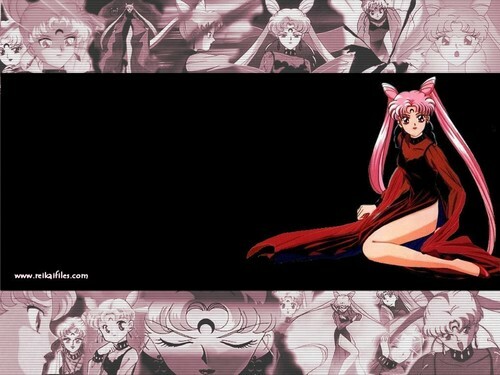 Black Lady (evil 'n' adult Chibiusa). . HD Wallpaper and background images in the Sailor Mini moon (Rini) club tagged: chibiusa sailor chibi moon rini sailor mini moon black lady. This Sailor Mini moon (Rini) wallpaper might contain signo, cartel, texto, pizarra, letrero, animado, cómic, manga, historieta, anime, and dibujos animados.